A Northern Saw-whet Owl was banded near Milner in Lamar County, Georgia on 11/30. Good In and Near Georgia Birding! 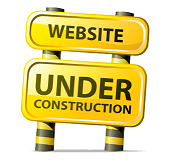 The NGR is under renovation! Working to update the site, Completely New though is Page 11 Favorite eBird Checklists or Box Site Video Folders! Most links to Georgia Birders Online (GABO-L) are broken due to GABO upgrades, or now require a GABO login to access due to implementation of greater security. 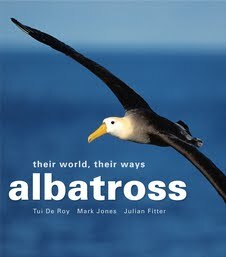 At any time a bird from the other side or end of the continent, or from half way around the world, may show up anywhere! Yellow-billed Loon, Northern Lapwing, Ivory Gull, Green-breasted Mango, and Red-faced Warbler in Georgia! Tufted Duck and Sharp-tailed Sandpiper in North Carolina! Greater Sand-Plover and Variegated Flycatcher in Florida! It just never ceases to amaze! Just when you think that it's been so long since you have seen or heard of a really good bird, something incredible can happen! Welcome to The NGR 2.0! Now more smartphone and mobile device friendly! Try the Mobile version! The NGR - A U.S. Regional RBA, A Place and Gateway for Georgia Birding Information and Resources !!! * The Near Georgia Report (NGR) serves to strive to provide as comprehensive, complete, and as timely as possible regional Rare Bird Alert (RBA) coverage of the publicly reported rare, casual (occasional), or accidental birds (and sometimes from a Georgia birder's perspective) which are being reported currently in southeastern states which are near Georgia (GA), usually Florida (FL), Alabama (AL), Mississippi (MS), Tennessee (TN), North Carolina (NC), and South Carolina (SC), and exceptionally, from regional locations further afield. Ultra-rarities for Georgia are posted, and other Georgia sightings may be posted at times as well. Bird sighting reports from at least 12 birding enthusiast internet listservs, groups, rare bird alerts, and birdmail sites in the 7 most southeastern states are sourced and linked to from The NGR, and on as daily a basis as is possible. The NGR does not attest to the validity or accuracy of all reports, or directions, etc., contained or referenced herein. The NGR also works to provide a place for, and a gateway to, as much great Georgia Birding Information and Resources as possible. * See Modus Operandi section for mode descriptions. GA, FL, AL, MS, TN, NC, and SC, and exceptionally, a few regional locations further afield! 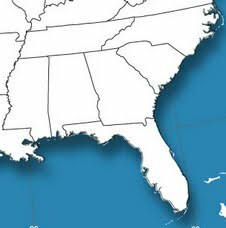 Click or tap the image for a very handy online zoomable view of the National Geographic Southeastern US Wall Map from Maps.com (click or tap on the map or magnifying glass to use)! Click or tap for first report. The world's most northerly bird! Georgia's first, arguably the rarest bird to be seen in Georgia in the 21st century, and the world's (well at least North America's) southernmost record of the species! Found by Walt Chambers, photos 1/26/10 by Ed Schneider. Click or tap for last report. Be sure to click or tap on the image for Michael's personal blog page "A Visiting Angel From Way Up North", a very beautiful and poignant account of the gull's stay with us, and more of Michael's excellent photos of the bird! Lower 48 Ross's Gulls !!! Fall/Winter 2010 - Click or tap image for larger size. A BIG THANK YOU to EVERYONE in the NGR region who works to ensure that their sightings are reported and made public on the region's birding listservs and group sites so that anyone can enjoy and greatly benefit from them! Sometimes reports are relayed through even several folks in order to get them public quickly, and so it can be quite a team effort as well! Thanks to All! REGULAR MODE - Exhaustive, every post from the source internet listservs, groups, rare bird alerts, and birdmail sites is examined and all rare, casual, and accidental birds for the region are posted to The NGR as possible. CASUAL MODE - All posts from the source internet listservs, groups, rare bird alerts, and birdmail sites are not always examined, and usually only American Birding Association (ABA) rarity Code 3 (rare), 4 (casual), and 5 (accidental) birds in the region are posted to The NGR. 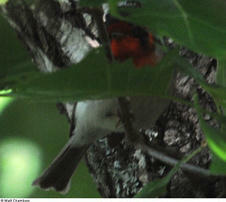 As many ABA rarity Code 1 and 2 birds which are casual or accidental to the NGR region are also posted as possible. RETIRED MODE - The NGR RBA has been retired and is not operational. The NGR Ticker provides some highlights from the last week or so, by post date and state. UPDATES and comments may be added to posts! Inappropriate comments or topics should not be posted. Examples of such include: topics or comments not related to birding, political discussion; general conservation issues; and commercial messages in which the poster has an interest; virus alerts; etc. Contact the blog owner prior to posting your comment if in doubt about its appropriateness. Many original sighting reporters often post their sightings later than the actual day and/or hour of the sighting. Also, it's not always possible to post all sightings to The NGR on the day that they are originally posted online. NGR posts often report sightings made on previous days, linking to sighting reports originally made on dates prior to the date of the NGR post. The NGR always strives for as timely as reporting as is possible, with ABA Checklist Code 3, 4, and 5 birds always the priority. Currently only bird names for these birds are capitalized in NGR posts. Bird reports are never posted twice, unless made in subsequent years. For example, if a species is NGR reported 5 times in a given week, or even twice in one day, it means that the species was NGR reported for 5 different locations that week, and NGR reported for 2 different locations on that day. Some particularly noteworthy birds may be listed for the duration of the current year, by NGR post date and state, in the News and Updates section above The Sidebar. 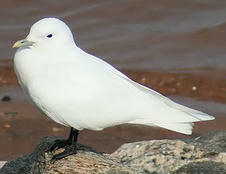 RELOCATIONS of some great birds are posted as UPDATES and listed in the News and Updates section. Updated posts are marked with a U at the end of the post name in the list. Not all relocations are listed or constantly maintained. All Pelagic species are usually reported when found inland, onshore, or close inshore, when the RBA is in Casual Mode fewer of these may be reported. Florida American Flamingos and Smooth-billed Anis may be reported. Other Florida and south Florida specialties are usually not reported unless well north of their usual range, and/or very near Georgia. Retractions of sightings by the original observer(s), as well as Rescindings of sightings by consensus or authority, are recognized. If a sighting is retracted or rescinded the original post is deleted from The NGR, and all entries regarding the retracted or rescinded sighting are removed from all sections and components of The NGR. Notice of the removal may be listed in The NGR Ticker temporarily. At the end of each month a Monthly Summary post will be made to Georgia Birders Online (GABO-L). Browsing the NGR Running Chronological List, on NGR Page 1 (see above), is a quick way to see the list of birds reported for the current year, by post date and state. Click or tap on most images for more information! Photos used only by permission. Date format is month, day, year, or mm/dd/yy, and mm/dd. To ensure that you are always viewing the latest pages while visiting The NGR, or any website, you may be able to set your web browser so that it checks for newer versions of stored pages every time you visit a webpage! MissBird (The birding listserv for Mississippi) does not have an easily accessible permanent archive that can be accessed with a web browser. There is a way to download permanent post archives from MissBird but you cannot view them until after you download them. 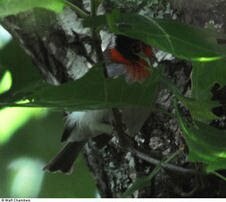 The Mississippi Ornithological Society has information on their website (see the link on The Sidebar) on how to join MissBird. You can email the administrator of MissBird to find out how to download the MissBird post archives. The American Birding Association's (ABA) Birding News (BN) posts the MissBird posts, and The NGR references ABA BN for MissBird posts. However, the MissBird posts on ABA BN roll off of ABA BN after 30 days and cannot be retrieved or referenced further. Unless you subscribe to MissBird and keep the emails, or keep the ABA BN posts somehow, any information from the ABA BN MissBird posts needed for contacting or emailing MissBird posters concerning their sightings, etc., should be collected quickly or else it will be lost as soon as the ABA BN MissBird posts roll off of ABA BN. ABA BN holds the last 30 days of MissBird posts. CarolinaBirds (The birding listserv for both North Carolina and South Carolina) uses an Archive Access Checkpoint to access their post archives. When clicking or tapping on a link to CarolinaBirds from an NGR post, the first time in a session, you will hit the Archive Access Checkpoint instead of the desired post. Click or tap on the "Let me in to the archives" button. You will then be entered into the archives. You can search for the post from there or you can go back and click or tap the post link in the NGR post again and the related post should open from CarolinaBirds. This is a security feature of CarolinaBirds. Photo 11/11/07, click or tap for first report. Photo 11/11/07, click or tap for more of Rachel's photos. Georgia's first, and arguably the rarest bird to be seen in Georgia in the 21st century, also the most southeastern record for North America! Photo 2/2/08, only the 3rd U.S. record ever outside of south Texas! 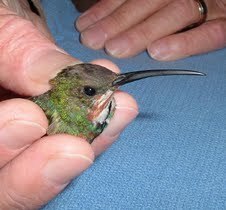 This immature bird showed up the week of 10/21/07 at the home of Marshall and Laurie Jackson in Dublin, GA, and was banded on the 29th. 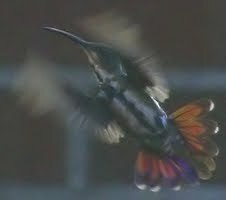 The hummer was last reported from the site on 4/4/08! The young male acquired much of his adult body plumage before departing! More, and even later, photos can be seen in the Favorite Georgia Birding Photos GREM sections! Photos by Rachel Cass. Click or tap on photo for last report. Banded by Bob and Martha Sargent of Clay, AL. Dublin, Georgia 10/29/07. Photos by Martha B. Sargent. 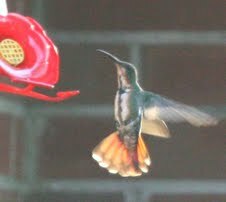 Click or tap on the last image for the home site of the Hummer/Bird Study Group (HBSG) founded by Bob and Martha Sargent. Rare - Usually regularly occurring within normal range. 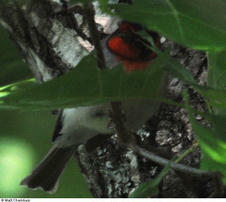 May be seen annually, usually during a season, in very small numbers, and usually only a few times each year! Casual, or Occasional - Often or usually out of normal range when found. Found irregularly or infrequently, less to much less than annually, and should never be expected. A good example might be every 2-4 years or 3-6 times in a decade!! Accidental - Usually severely out of normal range when found. Very sporadic, with potentially very long periods between sightings. An example might be 10 sightings in 50 years, or maybe less than 5 total sighting records ever. Not even always seen every decade!!! Click or tap here, from my annotated Georgia checklist, under special circumstances good Georgia birds which are more common may be reported. Beyond candidate birds from the Georgia checklist, other rare, casual (occasional), or accidental species in the region are regularly reported as well! Under special circumstances good birds which are more common may be reported. Carter's Reregulation Lake, GA, 3/23/10 - 2-04 (a six year old male) and his mate 46-07 (a three year old female). They had recently left Florida on migration north back to Wisconsin. Photo and text by Joshua Spence. Click or tap on photo for the full report. Many folks know that the only naturally occurring population of the endangered Whooping Crane (the tallest bird in North America) is the small flock which migrates south in the fall from Canada's Wood Buffalo National Park to its wintering grounds at the Aransas National Wildlife Refuge in Texas, and that in spring migrates back to the site in Canada to nest and breed. 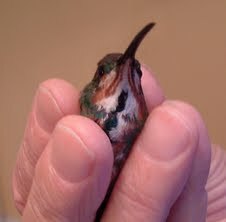 The total number of wild birds fluctuates and is probably still less than 400 right now. Reintroduction efforts in the eastern United States have resulted in very small migratory and non-migratory populations of the cranes in the east. Tremendous efforts have been sustained by many organizations such as the International Whooping Crane Recovery Team, the International Crane Foundation, Operation Migration, and the Whooping Crane Eastern Partnership, as well as by many government agencies, and by others, to work for the reintroduction and protection of the species. Single cranes or very small groups are seen annually in parts of the eastern United States due to these efforts and the birds are often in the company of Sandhill Cranes. In order for Whooping Cranes to make a successful comeback from being endangered it is vitally important for them that everyone understand and respect their fragile status and comply with some observing guidelines when the birds are found during migration or in their non-migratory territories. Guidelines say that if a Whooping Crane is found it's best to quietly observe from a distance, and some even recommend to keep 600 feet or more away from the birds, not disturbing, or pressuring them in any way. Trying to remain as concealed as possible while observing them is a good idea, but concealment shouldn't be used to approach them. Reporting their location and leg band information, to the U.S. Fish and Wildlife Service and to local department of natural resources wildlife officials is requested. 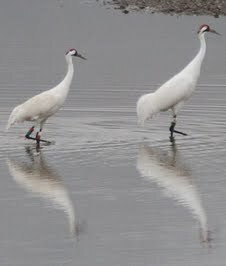 Also, reporting Whooping Crane sightings to various Whooping Crane related organizations via the reporting links on their websites is very important to all of the folks who conduct sustaining efforts to support the potential comeback and recovery of the crane in the wild. More Whooping Cranes may eventually be seen in the Southeast if we all work to recognize and respect their current delicate status and to promote their welfare. A Premier Georgia Birding Destination! Wolf Island, Egg Island, Little Egg Island, Egg Island Bar, and Little Saint Simons Island. Click or tap for larger image. 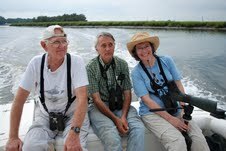 Contented Georgia Birders headed to the Altamaha Sound with Captain Brooks Good ! 8/7/10, Gene Keferl, Max Medley, and Alison Huff (with Patty McLean, James Fleullan, and myself out of the frame). Click or tap on the image for the trip report from Patty McLean and James Fleullan. Photo by James Fleullan. Captain Brooks Good and... Me ! 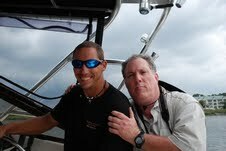 8/7/10, Here is Captain Brooks Good still giddy with excitement after I had just passed on to him the grand sum of all of my seafaring and birding wisdom and knowledge! I thought this might take a while on the way up the Intracoastal Waterway to the Altamaha Sound but it looks like we only made it about 3 feet from the dock before it was all over?! What a fantastic trip and Captain, the thought of mutiny never occurred to any of us, and 4 of our target Long-billed Curlews were found! Click or tap on the photo for Brooks' Coastal Outdoor Adventures & Coastal Cuisine website, highly recommended. Photo by James Fleullan. 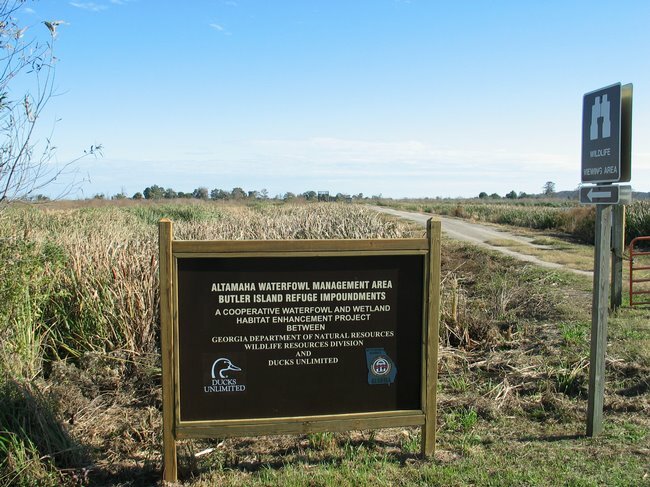 COASTAL OUTDOOR ADVENTURES AND COASTAL CUISINE - By Captain Brooks Good - Fine Purveyor of Eco-Tours to the Altamaha Estuary, Sound, and Beyond! SKIPPERS' FISH CAMP - Fine Riverside Dining On The Historic Darien Waterfront! Please be aware that the Google Blog Searcher will also pull up results from the NGR Running Chronological List. (Birding) Hats for Humans ! Georgia's first! The first one seen east of the Mississippi River, or east of Texas/SW Louisiana? Found by Walt Chambers, photos by Walt Chambers. Click or tap on images for reports. Can wander 500+ miles a day, almost as far as a Georgia birder can! All of the great albatross species and subspecies are listed as Threatened by the IUCN, the decline of the great albatrosses is thought to mainly be due to the impact that longline fishing is having on the birds. Click or tap for larger version. Click or tap for publisher's site. The NGR - A Southeastern U.S. 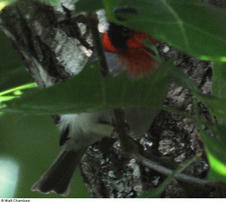 Regional Rare Bird Alert ...And Much More !!! The McShane Angled-Eyepiece Birding Scope Cable-Tie Sight Guide - Warbler with your scope !!! Georgia Swallow-tailed Kite Watch - Foraging Swallow-tailed Kite Flocks - Truly one of Georgia's greatest birding spectacles !!! Peace, Joy, and Good Birding To All !!! A Premier Georgia Birding Destination, click or tap for the WOG site information.